Wherever you are, whenever suits you, start your novel the right way. Learn your style of writing and get that first book out of your head. Whether you're huddled around the campfire, composing an email to a friend, or sitting down to write a novel, storytelling is fundamental to human nature. But as any writer can tell you, the blank page can be daunting. 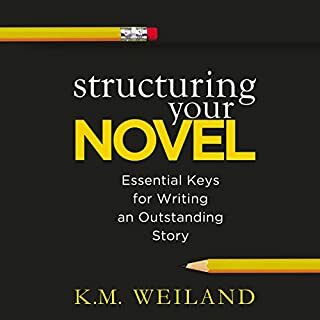 It's tough to know where to get started, what details to include in each scene, and how to move from the kernel of an idea to a completed manuscript. I found the lecturers love for fiction shone through in every literary example he discussed. I also found him very personable and down to Earth. 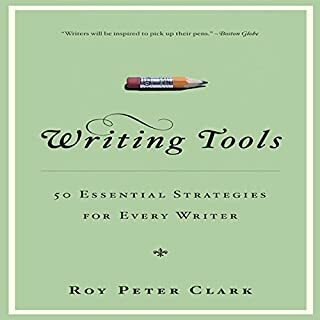 An excellent resource, if a little too dense at times, for any writer looking to brush up on their craft skills. A greater range of literary examples might have improved the listening and learning experience. This lecture series is a great guide for budding and moderate authors to listen to. The chapters are well divided, the author is easy to listen to and the presentation is great. This really is an outstanding course. I teach creative writing and I got interested to have a listen to this to get a glimpse of another approach. I'd say that if you are a complete beginner writer, then this is probably not helpful yet. But if you are a writing novice, with a little unpublished writing under your belt, this may be the single most helpful tool you ever buy. 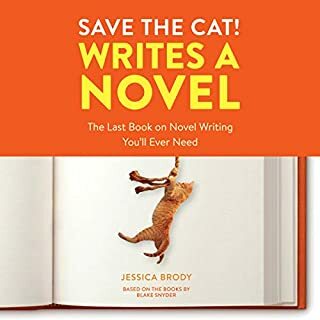 If you are an experienced writer who has gotten stuck in your process, this is a marvelous guide to alternate approaches. Well presented, very well illustrated through texts and super-practical. I learned more from this course than many I took during my MFA program. 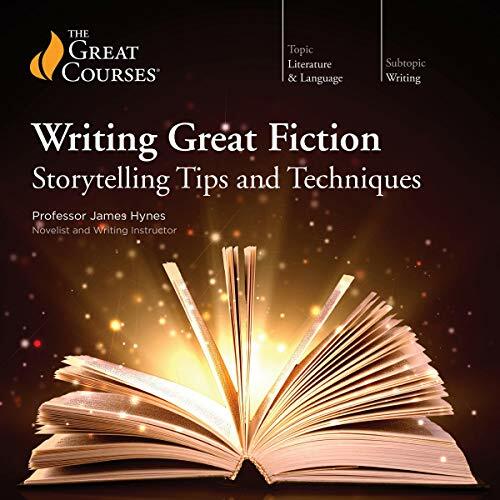 Professor Hynes breaks the process of writing fiction into its many elements: character development, setting, plot vs. story, etc., just like dozens of other books/audio lectures I've listened to. But there's one huge difference - he delivers the information in such a way that it is not only understandable, but exciting and relevant. For each chapter/subject, Professor Hynes cites examples of the techniques he's describing from published fiction, from age-old classics to current day novels, reading brief passages and then explaining how the author utilized the technique. 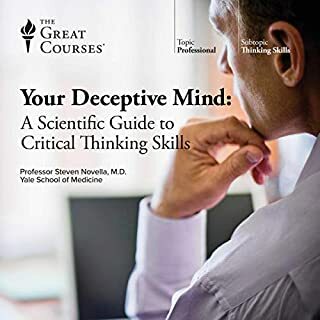 With precision and finesse, he literally paints a picture of what he is describing, and he ends each chapter with a suggested exercise to enforce the concept in the student's mind. 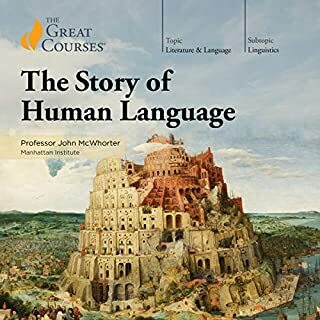 As far as delivery, Dr. Hynes is an eloquent, clear-speaking narrator who turns what might otherwise become just another boring lecture into an engaging, lively conversation between himself and the listener. I must admit, when he announced he had reached the last lecture, I was disappointed. I experienced more than a few epiphanies for my own work during this course. 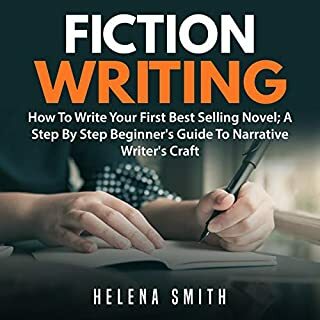 I believe it to be an invaluable tool for ANY fiction writer, and one I highly recommend. It will remain in my "writer's toolbox" to be listened to time and again. This is an excellent lecture for both the beginner and for the guy working on his next book. The first half of the book was filled with the same old tips you find in most writing books. That’s not to say the tips weren’t valuable – in fact they made for a good refresher. However, it was the latter part of the lecture that I found most helpful. I am a published (not self-published) author of a well-written (though not very successful) book that I am convinced, far exceeded my actual capabilities. I am very proud of that book but I am fairly convinced it was a fluke. Now I am currently halfway through my next book and I find myself facing the same struggles and self-loathing that I faced writing the first book. So I found it very reassuring to know that my plight is no different than what most writers face. Listening to (most) of the second half of this lecture inspired me and gave me hope. Hope that I am just like every successful writer out there and that I too would reach my goal. I highlight the word (most) because the last chapter of this lecture was so frank and true that I questioned why I am even writing in the first place. In the last 30min, Hynes gives a sobering and honest account of what it means to be a writer. Despite the lack of success from my first book, I am still deluded enough to believe that some day I will write the great American novel. So while Hynes’ honest conclusion may leave the listener feeling defeated, I have taken it as a call to arms. If writing were easy everyone would do it. My favorite top 5 audiobook! Would you listen to Writing Great Fiction: Storytelling Tips and Techniques again? Why? YES! 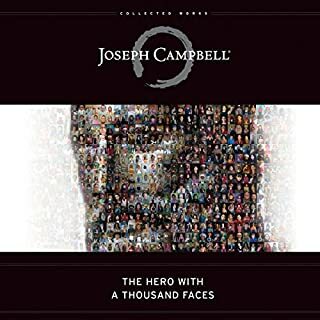 I love this audiobook and I feel I could listen to the speaker talk all day. I love the information, it's clear, very informative and inspiring. I'm definitely listening to this again! 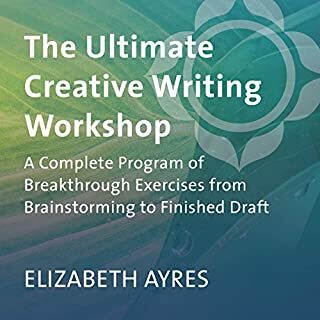 I have learned so much from this course and found it immensely inspiring for my own writing. On my second listen I will do the exercises he suggests. Have you listened to any of Professor James Hynes’s other performances before? How does this one compare? No I havn't but he's now my favorite performer (I only have 3 favorites and I listen to A LOT of audio books) so I'm excited to see what else he has done. I'd listen to him read the phone book I think. He should do more readings. Yes but who has the time! I've been listening to it for about an hour at a time everyday on my walks and in car rides. Usually I'll switch sometimes but this book was not only informative but also so enjoyable to listen to. The only thing I didn't like is the music that comes in at the end of a chapter sometimes is really loud and distracting from what he's saying in the last few sentences. But no big deal. This is my first of the great courses and it definitely set the bar very high. I have my BA in Professional Writing and am currently working in an unrelated field. I've been creatively stunted and eager to get my mind back on writing. This course is absolutely brilliant! I feel like I actually got a mini degree in fiction writing. The narrator is awesome! 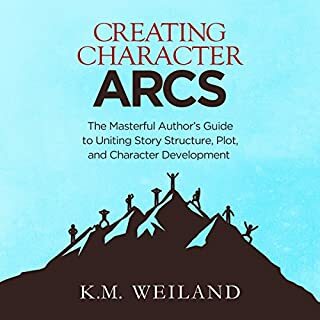 He walks you through all the major components of crafting a story from character to point view, plotting to research. All of the major stones are turned over and addressed in detail, citing passages from famous beloved works of fiction, many of which I have read. Those that I have not read are now on my list. 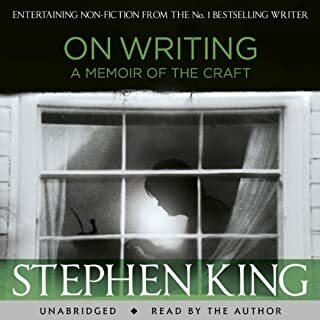 Not only does he take you through the major components necessary to write a successful work of fiction, but he also discusses the writing process, revision, the publishing industry, not to mention many insights into the writing life in his own words and in the words of many other greats. I feel more motivated and confident as I move forward, trying to get myself back into writing again. I highly recommend this course for experienced and inexperienced writers alike. Five stars! The Creative Writing Class I Always Wanted! I really enjoyed this course. 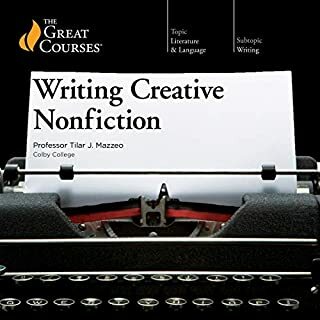 I've read a lot of books about writing and creative writing, I've listened to other courses on writing.I've never had a course this good on the subject. Other courses tell you you should read if you want to write. This course explains what it is you are reading. Tell you the truth, I'm sure that I now know more about writing and how to write, and may end up actually writing something, but I am even more sure that now I understand the art of fiction even better and can enjoy the writing of others more. Hynes does a wonderful job across the board. I also liked his candid manner of explaining the two personas of a writer who has to both write and sell. It was also enlightening to hear of how authors tell the secrets and how they pay the price with both family and friends. His insight into the publishing world and the changes of the last couple decades was very helpful for me to understand as a translator who has managed some published material. All around great lecture series for anyone involved with literature. The lecture series has plenty of good tips on going about the process of creating and revising stories and includes insights into the publishing industry, including how writing and publishing have changed in recent years. 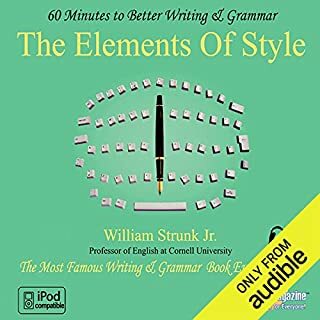 I would recommend this to beginner writers who don't have a clue how to start as well as writers who need a refresher, are experiencing writer’s block, or just want to try new methods. Must-Listen for Authors, Aspiring authors! As an aspiring author of creative fiction myself, I found this audiobook absolutely enthralling. Certainly more enthralling than some other books I've gotten through Audible. Professor James Hynes lectures through various techniques and stages of the creative writing process. 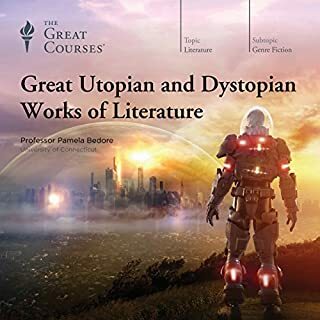 He is quite knowledgeable of many types of classical and modern fiction and provides examples of these works throughout the course (I had to get some of the works as I was so curious to read them). Prof. James Hynes also narrates this book and does so in a very clear, concise manner. He makes the subject matter interesting and easy to listen to. I'd love to take an actual classroom course of his, he's that good of a lecturer. He also challenges the listener with various writing exercises at the end of some of his lectures. 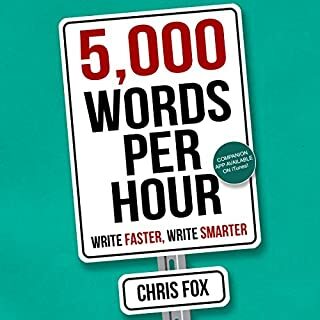 The material he discusses is very applicable to the efforts of any aspiring author as I was considering my own writings and how to improve them with the advice provided in this audiobook. Again, I repeat, I was in rapt attention throughout the listen. This book is highly recommended! Yes. In fact, I just started it over from the begining day after finishing it for 1st time. He does a great job of covering all the important aspects of the writing process. He walks a perfect balance of being introductory, but offers lots of solid specifics so he is able to move efficently and effectively through the material. I learned a lot. The course really got my creative juices flowing. The section on narrative voice and the impact of the various options was very helpful. I recommend this class. 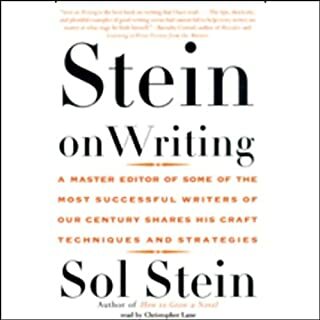 Stein On Writing is a much better book. This was okay, but seemed too generic and not enough really good tips. 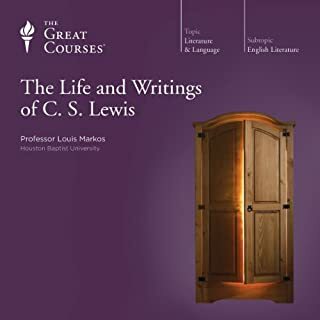 I thoroughly enjoyed listening to this series of lectures which seem to cover just about anything you wanted to know about the craft of fiction beyond the basic rules of construction, grammar and spelling (it's assumed you already have those skills). Professor Hynes is a warm, modest but clearly very knowledgeable narrator and he draws examples from across the literary spectrum - all the way from the great American and British novelists of the 19th Century to their modern counterparts. From literary masterpieces to genre fiction including "A Song of Ice and Fire" and, later on, "The Lord of the Rings". Examinations of the work of George Elliot, Virginia Woolf, Charles Dickens, and Mark Twain rub shoulders with George RR Martin, Dashiell Hammett and Hynes himself. Having such a wide range of knowledge and examples to illustrate his points demonstrates how the art of fiction, despite surface appearances, is much as it always was. After nearly five decades of reading and enjoying fiction I thought it was high time I understood a bit more about the process of creating a good book. Professor James Hynes is a successful writer and an extremely proficient teacher. Using examples from his own works and from a diverse bunch of novelists he explains how and why great books engage and inspire their readers and the techniques used to maintain suspense and continued interest. If you are considering writing a book, he is realistic but also encouraging. 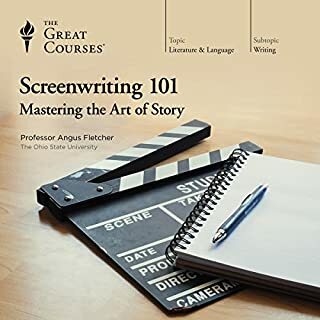 If you can master the techniques (and the exercises at the end of each chapter are a great start) then you will have all the skills necessary to embark on your own writing project and even if you only produce something for your own self-satisfaction that surely must be a reward in itself. 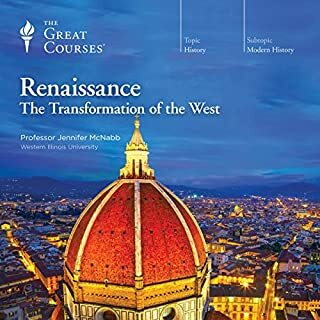 I found this course informative but also incredibly entertaining and will be returning to listen to the professor’s wise words as time goes on. If you have an interest in creative writing you could not do better than buy this book. Professor Hynes has an amazing level of expertise - seriously, it's amazing. He also seems to have an encyclopaedic knowledge of literature and uses examples to explain his meaning on every page of the book. He seems to know everything about the writing process, the technical and the more arty/abstract. He puts all of this across in a down to earth way. He gives practical advice but at the same time discusses the theoretical aspects without confusing or boring the reader/listener. I am so impressed by this author and this book. What was one of the most memorable moments of Writing Great Fiction: Storytelling Tips and Techniques? The example in the last chapter when he used different draft versions of his own book 'The Lecturer's Tale' to demonstrate how the techniques from the previous chapters can help hone the helpless initial draft into a fine piece of prose fiction. What about Professor James Hynes’s performance did you like? Everything. Very good pace of narration. Down-to-earth, feels like somebody who really tries his best to help you understand fiction writing. Author combines theoretical knowledge with practical experience as a writer very well. Contains a lot of useful advice. Has a lot of examples. It also inspires to write. Gives you confidence on how to approach it in a structural manner without being too prescriptive. I can strongly recommend this series for anyone even remotely interested in writing fiction. This is, hands down, the best time investment I've made since embarking on the lonely, massively frustrating, thankless path to writing fiction. With two mediocre, self-published romantic comedies under my belt I was desperate to join a writing course, but life (or rather, family) kept getting in the way. However I was able to listen to these lectures in the car on the return leg of the (long) school run and whilst ironing (I know - kill me now). I can't recommend this course highly enough to any writer at any stage of their game. James Hynes is knowledgeable, eloquent and very modest about his own (impressive) writing on the rare occasion he uses it to illustrate a point. I have learnt heaps, been inspired and already started a new short story to try and put some of the theory into practice. Thank you, Mr Hynes, for sharing your experiences and insights. I look forward to tracking down copies of your own novels - mysteriously elusive on Amazon UK. Us Brits are missing out on a hugely talented writer. It really touches the core of what it means to write fiction. I want to thank prof. Hynes for sharing the world of writing with us with such a passion and competence. I have already started reading his The Wild Colonial Boy, to keep learning and enjoying his passion for writing. Thank you very much, prof Hynes!!! Valuable knowledge and experience shared with passion. I loved this set of lectures. Informative, engaging, and with a balance of useful theory, examples and personal experience. There's even a little well placed humour. What more could you want? This is really useful stuff. I've listened to the whole thing twice and I find James Hynes' approach easy to digest. If you've read a lot of waffly nonsense and are looking for something a little more direct, then this is the right writing book for you. Learned a lot from the lectures. Especially the last chapter about Orwell's why I write.